Where any portion of the Assessee's Salary is Received in Arrears or in Advance. 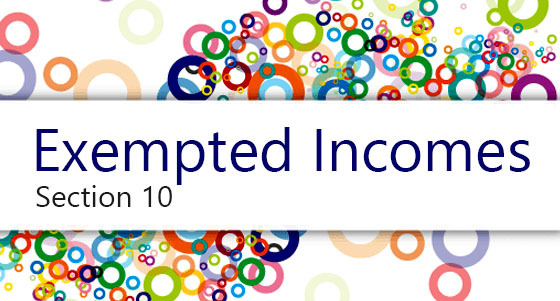 (A) Where any portion of the Assessee's Salary is Received in Arrears or in Advance. Total Income inclusive of additional salary. Total Income exclusive of additional salary. The difference between (a) and (b) is the tax on additional salary included in the total income. on total income including additional salary of that particular previous year. on total income excluding additional salary. Calculate the difference between (a) and (b) for every previous year to which the additional salary relates and aggregate the same. Step 3: The Excess between the Tax on Additional Salary as calculated under Step 1 and 2 shall be the Relief Admissible under Section 89. If there is no excess, no relief is admissible. If the tax calculated in step 1 is less than tax calculated in step 2, the assessee need not apply for relief. X is employed by A Ltd. For the previous year 2007-08 his taxable salary income is Rs. 2,30,000 (he has no other income). On Rs. 2,30,000, X has paid income-tax of Rs. 20,600. 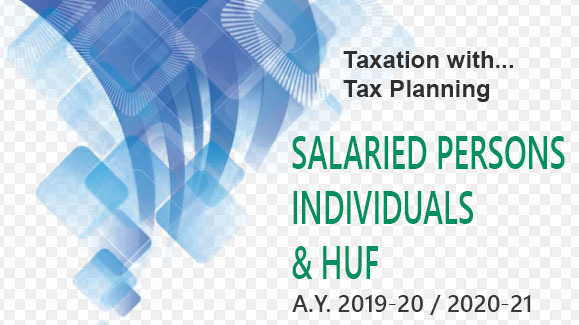 For the previous year 2018-19, his taxable income (after standard deduction) is Rs. 12,00,000. Besides, on December 1, 2018, X has received arrears of bonus of Rs. 60,000 pertaining to the previous year 2007-08. This amount was not taxed in the previous year 2007-08, as there was a dispute with the management about calculation of bonus. In this case, Rs. 60,000 will be taxable along with Rs. 12,00,000 for the previous year 2018-19. In this case, relief under section 89 will be Rs. 2,240 (i.e., Rs. 18,720 – Rs. 16,480). If (C)(2) is less than (C)(1), relief under section 89 is not available. Step 1 : Calculate the tax on total income (including gratuity) in the year of receipt of gratuity and calculate the average rate of tax i.e. Step 2 : Calculate the tax on gratuity on basis of average rate of tax computed in step 1. Step 3 : Calculate the tax liability by adding 1/3 of the gratuity to the total income of each of the preceding 3 years and calculate the average rate of tax for each year separately. Step 4 : Calculate the average of the three average rates computed in step 3 above and compute the tax on gratuity at that average rate. (b) Where Gratuity is paid in respect of past services of 5 years or more but less than 15 years. The procedure for computation of relief is same except that in step 3 the number of years for calculating average rate of tax shall be taken as 2 instead of 3 and thus 1/2 of the gratuity will be added in the total income of the preceding 2 years instead of 3 years. Compensation is received after continuous services of not less than 3 years. The unexpired portion of the term of employment is also not less than 3 years. The procedure for calculating the relief is same as given in Case (a), above, i.e. gratuity paid to the employee in respect of services rendered for a period of 15 years or more. The procedure for calculating the relief is same as given in case (a) of para (B) i.e. gratuity paid to the employee in respect of services rendered for a period of 15 years or more. In these cases, the CBDT may, having regard to the circumstances of each case, allow such relief as it deems fit.